Upgrade any bedroom with our Amish handmade Mission Bed. 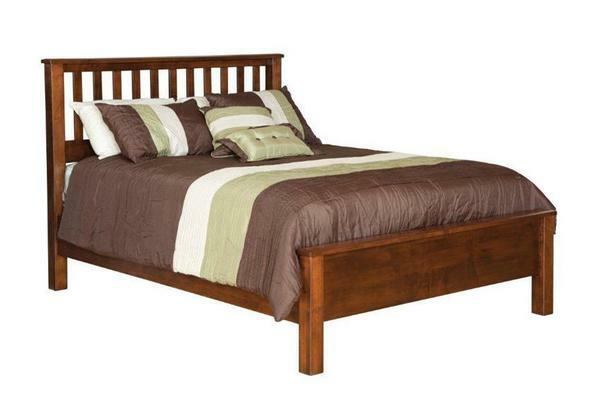 This beautiful solid wood masterpiece is available in a twin, full, queen, or king size for your convenience! Be sure to get yourself a bed size that fits in your bedroom perfectly! The entire bed is handmade by our Amish woodworkers and can provide you with a lifetime of sound sleep. Forget about sleepless nights now that you have a solid wood bed frame to provide you with a firm spot to place your box spring and mattress for getting much needed rest day in and day out.